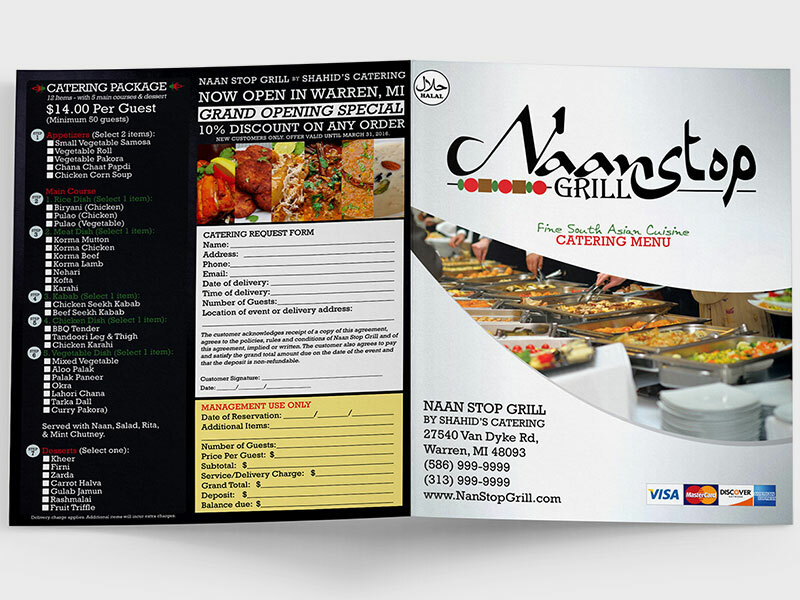 For over a decade, Mr. Shahid has been catering South Asian Cusine for small and large events across Michigan. 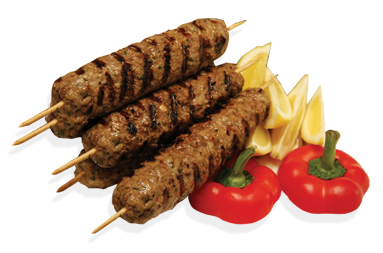 He is a well known Chef in the Pakistani Community for his unique touch to the dishes he prepares. 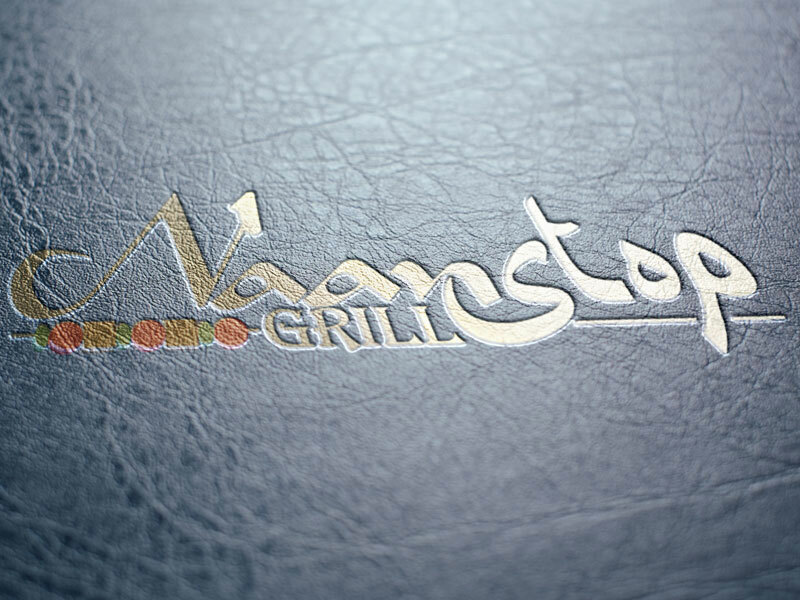 In 2016, he has decided to venture on a new catering company, Naan Stop Grill, along with his two sons. 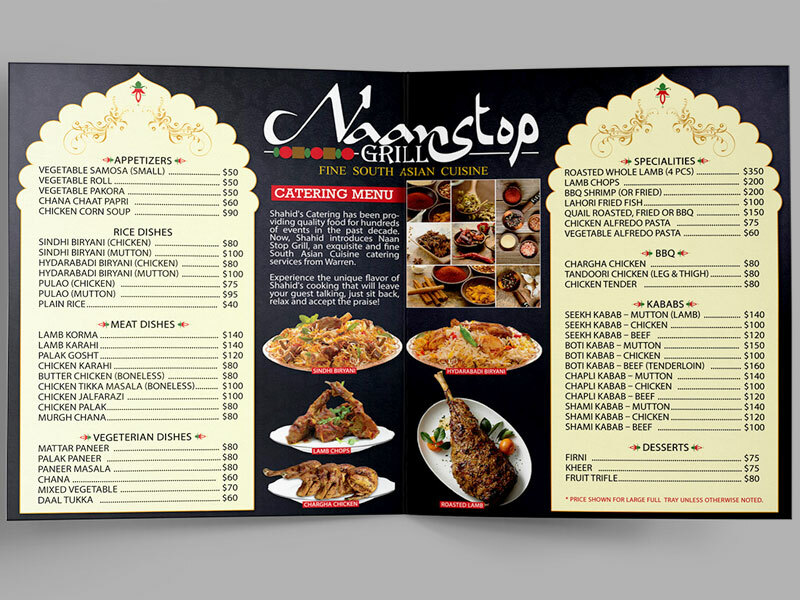 We had the opportunity to work with Mr. Shahid and his sons to complete their new branding for Naan Stop Grill. 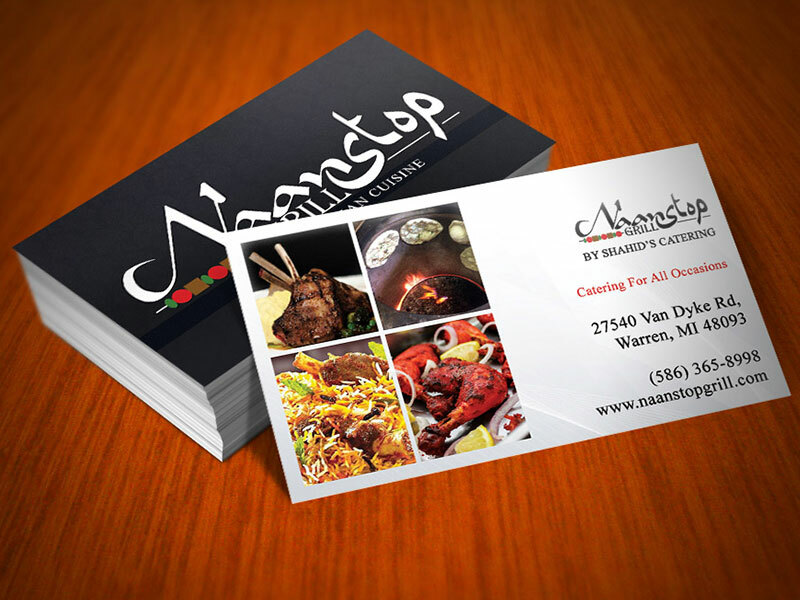 Along with the branding we also designed their catering menu and matching business card.